I'm a 27 year old female and I was prescribed to Wellbutrin a year and a half ago. I had never taken any type of psychiatric medication previous to this, and was prescribed to Wellbutrin by a physician that insisted it would help with the depressive symptoms that I was experiencing due to a generalized anxiety disorder (GAD). My primary disorder at the time was GAD, and the only reason that I was experiencing depressive symptoms, is because of the change in my demeanor since becoming constantly worried about the possibility of having an anxiety attack in any social situation. The first time that I went to see a general practitioner about my general anxiety disorder, she immediately wrote me a prescription for Prozac, I took the medication a grand total of three days before having a pretty bad car accident while driving my brother to school. I went back to the doctor and she decided that it would be better if I tried going the antidepressant route. At the time I started Wellbutrin I was in my first semester of graduate school and the effects of Wellbutrin were welcome. I was able to concentrate better than ever before, and was getting all A's in school. It went this way for a little over a year, until 3 months ago when I started seeing a return of my panic attacks. I went back to the doctor and she told me that it sounded like I was building up a resistance to the dosage of medication that I was taking. I was taking a once daily immediate release dosage of 75 mg of Wellbutrin at the time and she decided it would be a good idea to up my dosage to 100 mg of sustained release in order to get me back to a base line. I went home with the medication and thought about what the up dosage meant. I had a lot to consider... I didn't want to be dependent on the medication for the rest of my life. Especially since I was taking an antidepressant medication when I didn't even actually have depression. That day I decided that I was going to quit the medication altogether.. without my doctor’s consent… I had NO IDEA how bad of an idea that would turn out to be. Fast forward to a week and a half after trying to quit wellbutrin cold turkey and I was a COMPLETE DISASTER. I was experiencing suicidal ideation (the first time I’d ever had ANY thoughts like this), MAJOR anhedonia, memory issues and extreme fatigue. I went back to my doctor to get help, because I was scared of what I was going to do. Long story short, she ended up putting me on the Wellbutrin SR 100 mg anyways so that I could level out before I started my taper process. I took the 100 mg SR every day for about 2 weeks and was having some really uncomfortable side effects. So I decided it was time for me to start weening myself off of it. I took the 100 mg SR every other day for two weeks and then every two days for another two weeks, so all in all I tapered off of the medication over a month. I know now that this was WAY too fast, but it’s too late for me to try to go back on it for a slower taper. I’m just wondering if anyone else has a similar story to mine, that can tell me what kind of recovery timeline I’m looking at. I’m experiencing some pretty sever anhedonia and memory/concentration issues that present themselves in waves. Hi Hellbutrin, welcome to SA. It is good that you tapered even though it was fast. Wellbutrin foes not seem as bad for withdrawals as the other anti depressants so hopefuly you will be fine this time. All the symptoms will get better in time. I hope you and your brother were not badly injured in the car accident, It must have been very traumatic for you. I will get some links for you, it is quite late here and I apologise for such a short welcome, but the links will help you to understand withdrawal and what you need to do. First, it will help if you can put the drug and tapering history in your signature. Just the drugs, dose changes and when started/stopped. Non drug ways of dealing with emotional problems. This will help to avoid psych drugs in the future. We have topics on various supplements that people have tried and reported how they got along with them. We recommend fish oil and magnesium to everyone, the fish oil helps with the brain fog and zaps and the magnesium is calming. As with any supplement, start low and increase if tolerated, one at a time. Thank you so much for your response! I just created an account on the SA site today, but I've spent SO many hours on this site prior to today. Everyone's stories are so encouraging for those of us that have hit rock bottom. I've got some pretty serious anhedonia and memory/concentration problems right now, and I'm concerned that they will become more debilitating and will interfere with my job. I started taking fish oil supplements at the beginning of last week, so I don't know that I've been taking them long enough to see a noticeable improvement in my symptoms. I was just curious to see what kind of timelines others have had with recovery with a similar dose and background of taking wellbutrin. Any feedback and advice is appreciated. Since you've been taking 100mg Wellbutrin SR, have you seen any change in your withdrawal symptoms? What time of day do you take it? I havent taken it at all this week. I did a taper of every other day for two weeks and then every two days for two weeks, and then I decided to quit completely. I'm having severe anhedonia and memory/concentration issues but they haven't gotten any worse since I quit totally last Tuesday. I'm just worried that I tapered too quickly and might have permanently messed myself up by deregulating so quickly... thank you for your responses, it truly helps a lot. Has anyone experienced a splitting pain in their head after coughing? It only lasts a couple of seconds, but it's really concerning me. Could this be a typical part of antidepressant withdrawal or should I go see a neurologist about this issue? I am also struggling with anhedonia. I tapered very quickly off of Wellbutrin 75 mg over one month. Is it possible that I messed up my neural connections so much that I will experience permanent apathy and anhedonia? Any advice is appreciated! Hi Hellbutrin, I've moved your post from MaggieSmalls intro so that I can answer your question and to keep all of your information in one place so that you can easily refer to the information regarding your own personal situation. I would encourage you to ask all of your questions here in your intro so that more people can see your posts and be able to respond directly to you. You have likely destabilized your central nervous system as it is never recommended to discontinue anti-depressants abruptly as it is too hard on the central nervous system. It is also not a good idea to alternate your dose as that will destabilize you further. In order to keep your central nervous system stable, you need to be taking the same dose on a daily basis and then taper by small amounts over a period of time until you are off the drug. Before we can properly guide and help you to get back on track, would you mind answering a few questions? Are you taking any Wellbutrin now? When was the last time you took it? Do you feel that you were relatively stable on Wellbutrin immediate release before you were switched to the SR version despite the fact that it was no longer working for its original purpose? Besides the anhedonia and memory/concentration are you experiencing another other withdrawal symptoms? Please try and provide as much detail as you are able to and can remember as it will help the moderators put together a plan to get you stabilized and help guide you off of these drugs safely. You are still young and haven't been on anti-depressants that long and am confident that you will bounce back and find some relief from your withdrawal symptoms. In the meantime, I would encourage you to read the links that MammaP provided so you have an understanding of what is going on and are aware of what steps you can take to make yourself more comfortable. I totally agree with you, I definitely think that I destabilized my central nervous system when I tapered off of the Wellbutrin. I tapered over a month, which I now know is WAY too fast to taper off of an antidepressant. I'm just concerned that the damage that I did to my central nervous from tapering so fast will end up being permanent. I really appreciate all of the help and advice that you are willing to offer to me. Being able to talk about this with other people that are experiencing similar situations is more helpful than I can express. -I took my last dosage of 100 mg SR Wellbutrin on 08/15/2017. I haven't taken anymore since that day, and I don't think that I want to start back on it if I can avoid it because of further set backs that might happen if I keep going back and forth with taking it. My primary care physician is the one that suggested that I taper off of the Wellbutrin by taking it every other day for two weeks and then every two days for two more weeks. I now know that she doesn't have any experience with assisting people with getting off psychiatric medications the right way. She was more than capable and knowledgeable at assisting me with becoming dependent on the medications, but her "every other day" taper method is detrimental to the stabilization process, and I didn't realize that until I was already well into my taper. - I felt stable on the Immediate release medication mechanism for a year and a half before I started to experience "poop out" and was getting was pretty severe anxiety attacks from it. After I started getting the anxiety attacks, I decided to quit the medication cold turkey. This was a TERRIBLE idea I now realize, because within about 4 days I was experiencing such bad withdrawal that I was having very real suicidal ideation. I had taken Wellbutrin 75 mg Immediate release for a year and a half, and in order to stabilize me after I tried to quit cold turkey, my doctor switched me to Wellbutrin 100 mg sustained release. Which at the time I was okay with, but the sustained release mechanism was the doctor's reasoning for not wanting me to taper off of the medication by cutting the dosage down. She said that I would have to taper off of the sustained release medication by skipping doses because if I tried to cut the pill, it would mess up the time release mechanism. -No, those are my main concerns currently. I was experiencing some pretty bad depressive symptoms in a waves and windows pattern, and I'm still getting some mild depressive symptoms. But I was originally started on Wellbutrin almost two years ago to treat a generalized anxiety disorder, so it's really strange to me that my Doctor chose to put me on an antidepressant instead of an anti anxiety medication in the first place. I was really concerned when I first started coming off of the medication that the medication might have actually caused me to be permanently depressed. I honestly regret EVER taking the first pill, because I'm way worse off now then I ever was before I was medicated. I just wish that there was definitive assurance that I will get over this and will recover my cognitive functioning and memory. I'd even be okay if someone told me that it was going to take a long time. I just can't imagine being this way permanently. I used to be able to read a 500 page book in one day, and now I can't concentrate on anything long enough for it to make sense to me. I know that I've only been in the withdrawal stage for a couple of weeks. But I'd like to know if there is a general timeline that I can expect based on the amount of time that I took the drug and the amount that I was taking. Since I took the lowest dosage for the year and half, I feel like it should take less time to recover. But I'm more worried about whether or not I will be able to recover eventually, regardless of how long it take. There is currently a wdl survey circulating and it closes on 24 aug. It would be great to have your valuable voice added to it. If you as yet still havent tabled your vocie i would be very grateful for you to do so. I believe this survey is extremely important for those of us harmed by these drugs. It's been two weeks since I took it, and I'm starting to feel some of the depersonalization easing, but it's still in a waves and windows pattern, so the anhedonia still comes and goes. My main concern is the issues that I've been having with my concentration and my memory. I haven't seen any improvement in my cognition or my memory, so I'm a little concerned that I might have done some permanent damage there. You haven't done any permanent damage and will recover in time. Sadly we are not able to give a timeframe because everyone is different but your symptoms are changing which is good. As one thing subsides another starts up and that is normal in withdrawal. A tiny dose might help as Alto suggested. Side effects are generally dose related so a very small amount may be ok for you and should relieve some pof the withdrawal. You would be able to do a slow taper off that small amount when you have been stable for a few months. Thanks MammaP, you have really helped me a lot. Have you heard stories of people with similar symptoms that have had their memories totally recover? My memory was terrible when I was taking effexor. 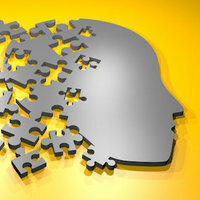 My family thought I had alzheimers but scans did not show anything. I was out driving one day and forgot how to brake! Just for a fraction of a second I didn't know how to stop the car. I stopped driving after that until my memory had improved. I had 22 ECT 'shots' that have affected my memory and that part hasn't recovered, I doubt it ever will, but the memory loss from the drugs and withdrawal is 100% better. Thanks Altostrata! I'm going to see how my memory and ability to focus does after a couple more weeks, and then I will try a small reinstatement if I'm still struggling with it. Have you heard of instances like mine where memory and cognition don't get better after going through withdrawal? Oh wow! I bet that was a pretty scary experience! How long did it take before you were comfortable with driving again? And how long did it take for your memory and concentration to improve after you were totally through taking Effexor? It was VERY scary, I was approaching a junction and only stopped by an emergency stop when I remembered what to do! I actually became phobic about driving. That was about the time I decided enough was enough and I was going to get off the drugs. Things started to improve as the dose lowered, the fog started to clear and I could concentrate better as time went by. I had a refresher course in driving and the instructor said I am a very competent and experienced driver so should not be scared of driving. That was good and I'm glad I took the course. My memory problems now are putting milk in the microwave and forgetting where I've left the car, I don't know what day it is sometimes. I am getting older too! I don't worry about it, it doesn't really matter in the great scheme of things. I've been like this since ECT and I used to have a really good memory. I was an avid reader and remembered what I read. If someone gave me their phone number and I wrote it down I could throw away the paper because I would remember it as long as I had written it down, even without a pen! I get upset about that sometimes but there is no point dwelling on it when there is nothing I can do about it. You will be fine, keep doing puzzles and things that exercise your brain. Neuroplasticity is amazing! There is a great post by Rhiannon on the first page, she is a moderator who is away doing real life stuff now but wrote some amazing stuff here. I have recently withdrawn 2 weeks ago from Wellbutrin 75 mg. While I was taking Wellbutrin I noticed that I had developed double vision and some pretty severe dry eye. It hasn't been that long since I withdrew totally from the Wellbutrin, but I was wondering if this could be a permanent effect of taking the drug. Has anyone else experienced this, and if so, did you see a gradual improvement in your vision after time? Thanks ChessieCat! Do you know anything about individuals experiencing permanent double vision and dry eye as a result of prolonged antidepressant use? I'm going to try to concentrate for long enough to write this. I understand that everyone's physiology is different, hence everyone will have a different recovery period when they are quitting antidepressants. My question is, why is it that my withdrawals seem to be so severe when I was on the lowest dosage of the medication and not for that long? I know that I tapered too quickly, but my withdrawals seem to be getting much worse the last week. I'm familiar with the windows and waves pattern of withdrawal and recovery. But I'm wondering if there are situations where people have extreme sensitivities to these medications and take much longer to recover than they would just based on their dosage and length of time they took the medication. This is a scary thought to me, my suicidal thoughts have returned pretty full force this last week and I can't bear the thought that this isn't going to better. I never had depression before taking these drugs, and now I'm TERRIFIED that i've developed a pattern of thinking that is going to cause me to be susceptible to depression and suicidal thoughts in the future. Personal examples and advice are welcome, I'm really struggling and this forum seems to be the only thing that helps put my mind at ease. Sorry you are going through this. You are probably still feeling the affect of the cold turkey in June. hi hellbutrin ,my opinion on dosage and time on these drugs are that everyone's system is different and some of us are more sensitive to the toxic affects of them ,you see when they make the drug and come up with a product to sell they don't take this into account ,they just do enough to get them passed and get the license to sell them .they treat the market like we are all robots and this wrong .the people that prescribe the drugs aren't even aware of all this and threat us like robots and an appointment time slot . the mods will have a better perspective but I'm giving my lived and learned experience on the drug . the main thing is don't be thinking why me ,there is loads of people that are sensitive to dosage and sensitive trying to come off the meds . learn everything you can about your symptoms this has to be your priority and don't be scared you will be ok .
your already aware of your thinking pattern ,so its good your aware of that .our brains are hardwired for the negative so withdrawal just makes things harder . I never got above 75 mg so I don't believe in the dosage aspect ,its my genetic make up ,and don't mix up your personality with being sensitive to the drugs ,you were never to know about the drugs and your system to tolerate them . Have you read Post #1 in reinstating topic? What are you thoughts on reinstating? I've crossed out the dose because it was several weeks ago that Alto posted the above. You might be able to reinstate a lower dose than what was suggested above. Being reluctant to reinstate is understandable. The idea of reinstatement is to bring your withdrawal symptoms to a bearable level. When we take the drug our brain changes, and when we reduce too quickly or stop the drug suddenly our brain tries to work without the drug it is used to getting and tries to regain homoeostasis. This is what causes the withdrawal symptoms. The brain is crying out for the drug. It is a physiological dependence, not a physical dependence like caffeine or nicotine. My own experience: I reduced my Pristiq from 100mg to 50mg and suffered extreme cog fog for 3 weeks. At the end of the 3 weeks I was unable to type. Because I am a professional typist of 40+ years I immediately realised that something was wrong. Thankfully I had joined SA a few days before this and it had been suggested that I updose. When this happened I took extra Pristiq and after about 4 hours I was able to type again and my foggy head was clearing. I knew it wasn't placebo because I had a benchmark. After stabilising I have since been tapering and am now down to 20mg, only experiencing very mild withdrawal symptoms. I've thought about reinstating a small bit like you mentioned, but I'm pretty terrified of medications and their effect on my body at this point. Do you think that I am prolonging my withdrawal by not reinstating? I don't want to be dependent on the medication, but the withdrawals are starting to seriously effect my professional and home life. Thanks for the valuable feedback PB, I'm just hoping and praying that it is possible to fully recover from these medications. but the withdrawals are starting to seriously effect my professional and home life. When I started tapering by 10% and got withdrawal symptoms I would ask myself if I could live with the symptom/s. The major one was painful and blocked ears. If I remember rightly I tried some OTC cold medicine but it didn't make any difference. I decided that I couldn't continue with it as bad as it was so I updosed by a very small amount. I have had other times when my answer was yes, I can live with this symptom. Nobody can make the decision for you. I found that once I understood how the drug changes the brain and of course with my experience not being able to type, that I realised why reinstatement makes sense. If you do decide to reinstate please start with a very low dose. It is better to start low and go up a little bit after about a week if the symptoms don't improve than to go up too high, because your brain will have already made some adaptations to not getting the drug. Remember the idea isn't to get rid of the symptoms altogether, but to make them bearable. These drugs are strong so a tiny bit may be all you need to help bring some relief. Also, the longer you leave reinstatement the less chance there is of it being successful. However, please note that if you get a bad reaction then stop immediately. That is another reason for starting at a very low dose. We are not dependent on the drug like a drug addict is dependent on their drug. The drug we took changed our brain and when it isn't getting the drug or enough of the drug then withdrawal symptoms happen. As I mentioned I am tapering successfully with only mild symptoms and am down to 20mg. I really appreciate all of the information, all of your first hand experience is so valuable. I did consider reinstatement a couple of weeks ago. I ultimately ended up deciding against it because of how my body responded when I reinstated after quitting cold turkey. I quit cold turkey before I found the SA forums and before I talked to my doctor (I now know how TERRIBLE of an idea this was),when I quit cold turkey I experienced debilitating depression and anhedonia that I felt bordered on psychosis. After the experience I went to my doctor and they told me to reinstate on a higher amount of sustained release Wellbutrin with the intention of stabilizing over a few weeks and then tapering over a couple of months. I reinstated after being cold turkey for around a week and still felt pretty awful, but no where near as bad as I felt off of the drug. I know I tapered too quickly by the standards that I've read about on this site. I'm still experiencing severe brain fog and concentration issues and some pretty bad depression, but nothing compared to what I experienced a couple of months ago. I would just worry that reinstating after I've been without the medication for 5 weeks would have a negative impact on the progress that I've seen so far. I'm also terrified of the anxiety attacks that I found came with the reinstatement. I'm going to try to go a little longer without reinstatement, I just hope that I didn't really throw off my CNS by reinstating after my cold turkey and tapering too fast. Is it possible that I did some permanent damage to my CNS by how fast I tapered and the reinstatement at a higher dosage after my cold turkey? I had another quick question that I was wondering if you could give me your input on. I'm supposed to have a minor surgery in November on my jaw, it's an out patient operation but they will have to put me under anesthesia and will give me pain medication after the operation. Do you think that the anesthesia and the pain medications will set me back with my recover from Wellbutrin? Any input or recommendations is so appreciated, thanks! Hi Hellbutrin, I'm going to post a link to answer your questions here and unfortunately, I do not have any personal experience with dental surgery (yet). I'm planning on having four crowns fitted in December and will all be researching the same information that you are seeking. use the search function on the top right hand corner of the screen (under your username), type in your query and press "all content"
Perhaps another moderator or one of our members will be able to provide you with their own personal experiences and the reason we request that all questions are answered in your topic rather than a PM. It would seem that your previous experience when you reinstated TOO MUCH has made you scared to try to reinstate again. This is understandable. However this reinstatement is extremely small. Please realise that things may get even worse. Reinstatement is best done as soon as the withdrawal symptoms appear not when we get so bad that we have no choice but to try reinstatement. Once we get bad, if that does happen, it will take longer to stabilise, and in some cases members have found that they have not been able to stabilise. I am not writing this to frighten you, just to tell you of the possibilities so that you can make an informed decision. I didn't realize that it would be possible for the symptoms to get worse than they already are this long after I've been totally off of the Wellbutrin, thats a pretty scary thought. My concentration/memory are pretty nonexistent right now, and I don't think that I will be able to function if they do get any worse. "Basically- you have a building where the MAJOR steel structures are [...] to be rebuilt at different times - ALL while people are coming and going in the building and attempting to work. It would be like if the World Trade Center Towers hadn't completely fallen - but had crumbled inside in different places.. Imagine if you were [...] to rebuild the tower - WHILE people were coming and going and [...] to work in the building! You'd have to set up a temporary elevator - but when you needed to fix part of that area, you'd have to tear down that elevator and set up a temporary elevator somewhere else. And so on. You'd have to build, work around, then tear down, then build again, then work around, then build... ALL while people are coming and going, ALL while the furniture is being replaced, ALL while the walls are getting repainted... ALL while [...] is going on INSIDE the building. No doubt it would be chaotic. That is EXACTLY what is happening with windows and waves. The windows are where the body has "got it right" for a day or so - but then the building shifts and the brain works on something else - and it's chaos again while another temporary pathway is set up to reroute function until repairs are made. And just like the Twin Towers- it's possible - but the building is a major effort"
Thanks ChessieCat, I'm willing to be patient, my main concern as I mentioned is the possibility that I did some sort of permanent damage with the way that I tapered. This is a great analogy for how the brain repairs itself, and definitely helped put things in perspective about how healing works. I just feel like I've already yo-yoed with my brain so much that I don't want to reinstate again and increase the possibility that I might not recover completely ever. This idea terrifies me, so I'm trying to take the holistic route, by doing yoga, taking fish oil supplements, a daily multivitamin, a digestive balance probiotic and exercising as much as I can. Thanks again for the information, and I will definitely give a small reinstatement a try in a couple weeks if I see a further decline or haven't seen any improvement in my withdrawal symptoms.